Aaron Sorkin's new stage adaptation of Harper Lee's classic novel To Kill a Mockingbird is playing to sold-out crowds nightly at the Shubert Theatre on Broadway. 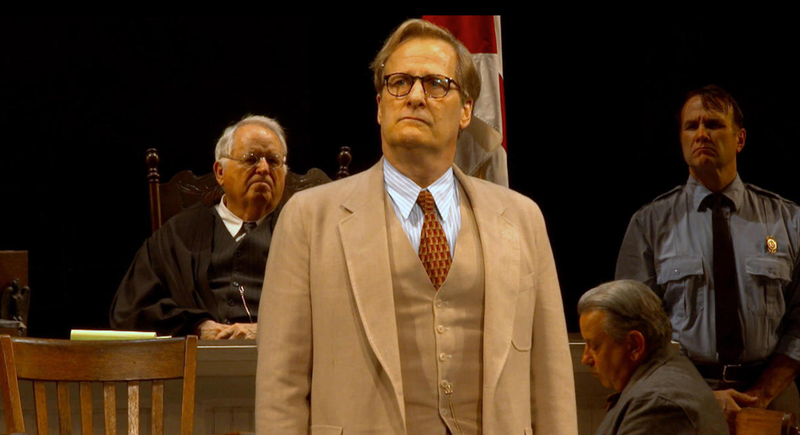 Sorkin collaborated with director Bartlett Sher on the new production, which is headlined by Jeff Daniels in the iconic central role of Atticus Finch. The trio of talented creatives, along with actress LaTanya Richardson Jackson, appeared on the November 25 edition of CBS' 60 Minutes to talk about their new theatrical take on the classic work. "There is no event in the play that doesn't occur in the book," said Sorkin of his adaptation, calling his version "a new look at familiar material." Asked about selecting Daniels to take on the role of Atticus Finch, Sorkin said, "There was never a conversation about any other actor," elaborating, "He is one of the best actors I know." Watch the stars and creatives of Broadway's Mockingbird below and make plans soon to experience the production for yourself on Broadway.